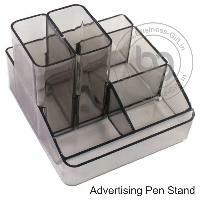 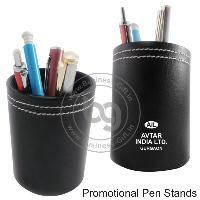 We are Leading Corporate Pen Stands Manufacturer in Delhi. We are wholesaler and manufacturer of Promotional Pen Stand, Wooden Pen Stand, Printed Pen Stand, Pen Stand with Watch, Customized Pen Stands, Pen Stand for Doctor's, Corporate Pen Stands etc. 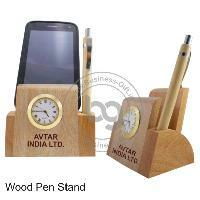 Expect variations in colour and wood grain texture. This is the characteristic of wood and makes each piece unique. 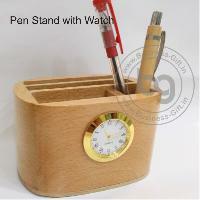 A perfect accessory for the office table and it can be used to enhance the grace to any desk and also add style. With our customized packaging solutions, buyers can get packages made according to their specific requirements. Furthermore, they can rest assured the packaging is industrial grade.. are a recognized name catering to the customers by offering different products from Delhi(India).